Android devices having more than 1.3 million daily activation and that there are now more than 500 million Android devices active worldwide. Where Android is growing at a rapid pace, there is equal growth in users from various countries like Kurdistan. Kurdistan refers to parts of eastern Turkey (Turkish Kurdistan), northern Iraq (Iraqi Kurdistan), northwestern Iran (Iranian Kurdistan) and northern Syria (Western Kurdistan). Rawand Haider, Petroleum Engineer by profession and Android Rom Developer releases first Android Kurdish version Rom. 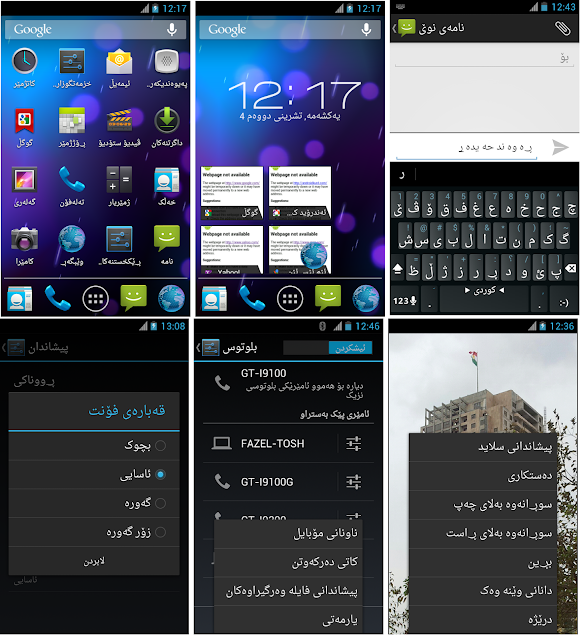 Officially there is no Kurdish language in Android devices yet available. Kurdish people begun to realize that the future is for Android OS, as a result, they're buying android phones more than ever. More than 60 million people speaking Kurdish language and Rawand's project becomes quite useful and handy project for them now. The Rom is based on Jelly bean 4.1.1 and of course it’s a custom ROM, it works on Samsung Galaxy S II International Version GT-I9100, and GT-I9100G, with the future plan of doing the same for other phones like Samsung Galaxy S III, LG nexus 4, Google Nexus 7, Samsung Galaxy Nexus, HTC phones, too. While talking with 'The Hacker News' Mr. Rawand said, "The ROM features is that it supports Kurdish language in both Writings and appearance, everything is in Kurdish, Kurdish people were so interesting by this Rom when they knew about it and they’re so keen to try it. But I really want to make this project even bigger service by Cooperating with Samsung to add Kurdish language officially to their future phones, even I got in touch with Samsung about my project but I didn't get an answer as the time of this writing." 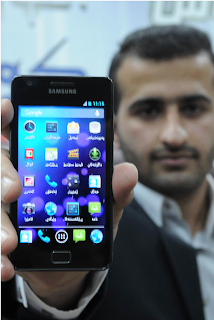 Rawand believe that he can help various Android phone manufacturers to add Kurdish language in official versions too. He will release full version in open source soon. Mean while if anyone interested to get more info about the ROM, can contact him at Rawand.Haider@gmail.com.